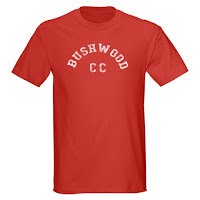 Another weekend, another big discount from CafePress, only this one goes to 11 (points if you get the reference). Combine promo code MDW80 to already discounted items across the site and save up to 80%. Bonus: Spend $50 or more and they will ship to your door for FREE. If you don't know CafePress, they are "where the world shops for custom t-shirts and other unique gifts that express people's unique personalities." So it's unique. I have to admit this site is addictive. I went in the other day to buy some bumper stickers that were on sale, only to also get a iPhone case, two shirts of my favorite Avengers, and a coffee mug with my kid's face on it. Then I realized I was still under the $50 free shipping offer so I bought a graduation present for my nephew. You've been warned. Click here to go to CafePress and to shop. Don't forget to add code MDW80 to get the discount.